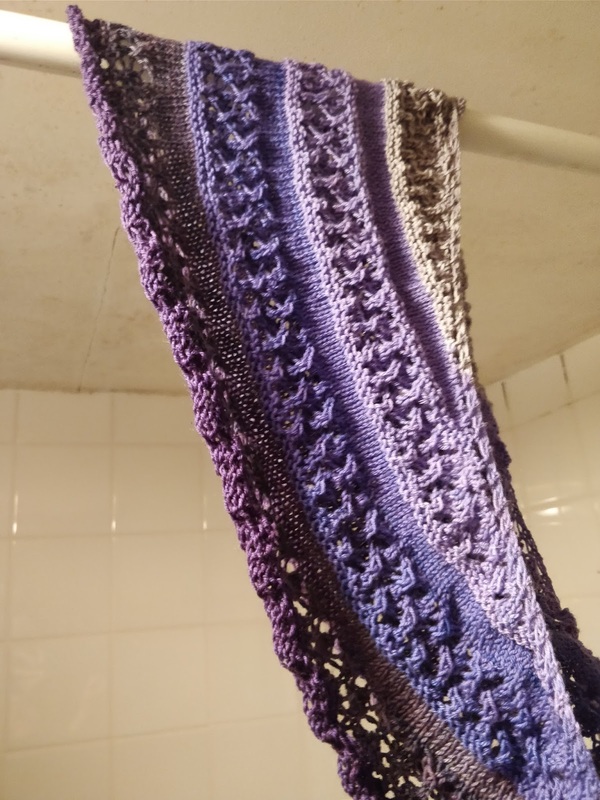 So excited to finally have a FO post! Mods: This pattern was very easy for modifications and I adjusted the width of my stripes according to how much I had of each colour. 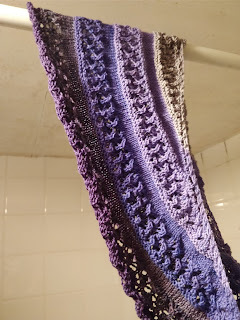 I knitted a double wide lace panel in the first colour, then a one and a half times repeat in the next two; then I knitted one lace panel in colour four, followed by a panel and a half (roughly) in the last colour, using a lace bind off. It needs a bloody good block, but I am pleased with how it looks, and with how quickly it went.